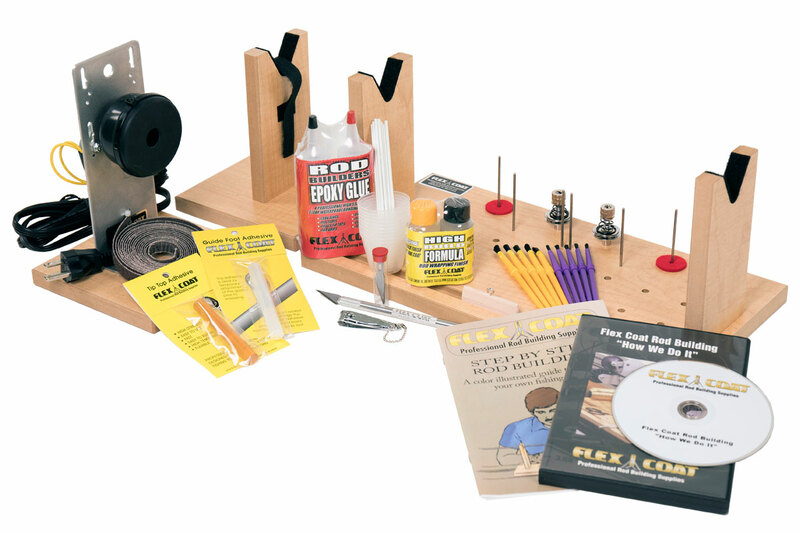 This kit has the tools, supplies, and instructional materials you need to start a small business building and repairing custom rods. This kit has the tools, supplies, and instructional materials you need to start a small business building and repairing custom rods. Earn extra money, keep your equipment in tip-top shape, and get inside fishing information from your customers: the expert fishermen who purchase custom rods and have rods repaired in your shop. You can trade rod repair services or custom rods for fishing trips with local guides.This complete start up kit will save you $$$. Due to shipping restrictions we can not ship two part epoxy glues and finishes to APO addresses, through the US Post Office or any air or express shipping options. Flex coat has been around along time,I am going to begin building rods using flex coat.